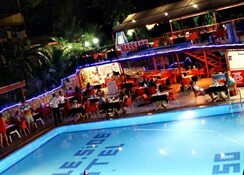 Side Temple Hotel is a 3* hotel located in the beautiful area of Antalya â?? Turkey, in the area of Side. 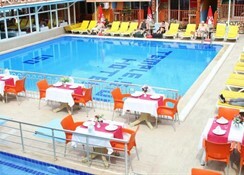 The hotel offers a variety of amenities such as swimming pool, bar and restaurant. Guests can relax in the spacious, beautifully decorated rooms of the hotel which are fully equipped and have magnificent view. 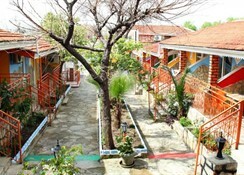 Side Temple Hotel is the ideal place for relaxing and pleasant vacations. 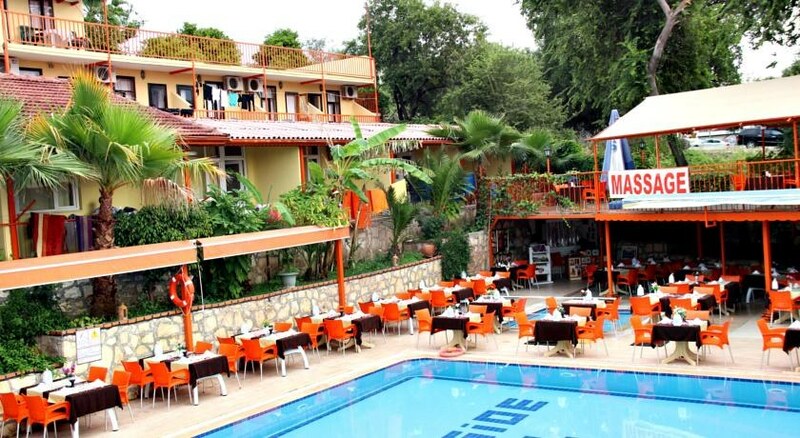 All drinks between 23:00 to 10:00, Turkish coffee, cocktails, bottled drinks, freshly squeezed fruit juices, doctors, a-la carte restaurant, laundry service, water sports, room safe, mini- bar, telephone, fax, hairdresser, doctor, photos, car rental, food and drinks on the beach comes with extra charge.